Ten years from now, you may be as comfortable with flying to your job from say, Frisco, to downtown Dallas, as you are with commuting by car now. 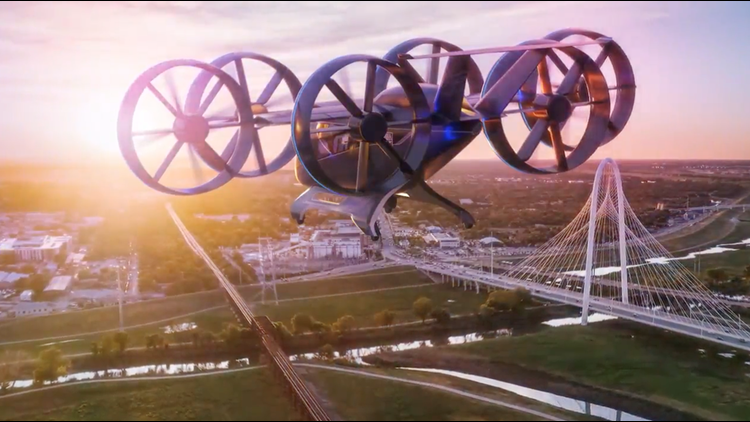 Ten years from now, you may be as comfortable with flying to your job from say, Frisco, to downtown Dallas, as you are with commuting by car now. And you may doing it in an airborne Uber. Bell Helicopter of Fort Worth intends to be building those Jetson-ized vehicles, and this week, at the Consumer Electronics show in Las Vegas, it’s rolling out a mockup of what the aircraft might look like. 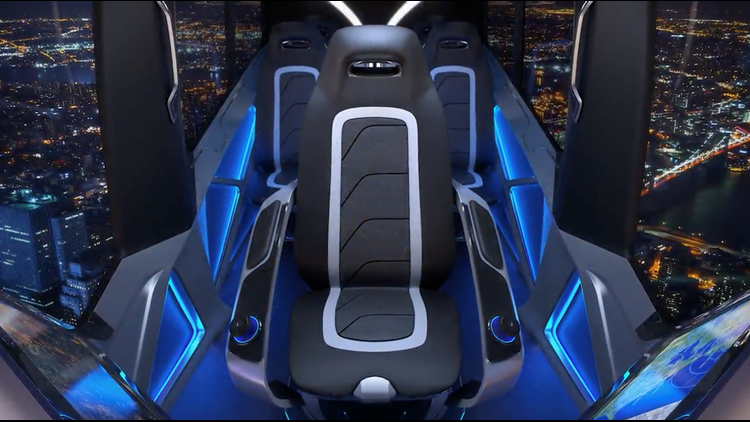 The "Nexus" carries four passengers and a pilot, although since the vehicle will be capable of autonomous flight, Bell expects the pilot eventually to be eliminated, as passengers become comfortable with an aircraft that can fly itself. But Nexus is unlike any helicopter now flying. It’s carried aloft by six eight-foot ducted fans – think rotors wrapped by ducts, which point downward for takeoff and rotate sideways for horizontal flight. Bell has been working with technology like that with its tiltrotors for decades. One of the many differences in the Nexus, though, is that the fans are powered by electricity produced by a small onboard turbine, not a jet engine. The turbine will also charge a battery which can be used for emergency power, if needed in an emergency. The aircraft will be able to fly as fast as 150 mph, Bell says. The sophistication of an air taxi system involves more than just the vehicle. 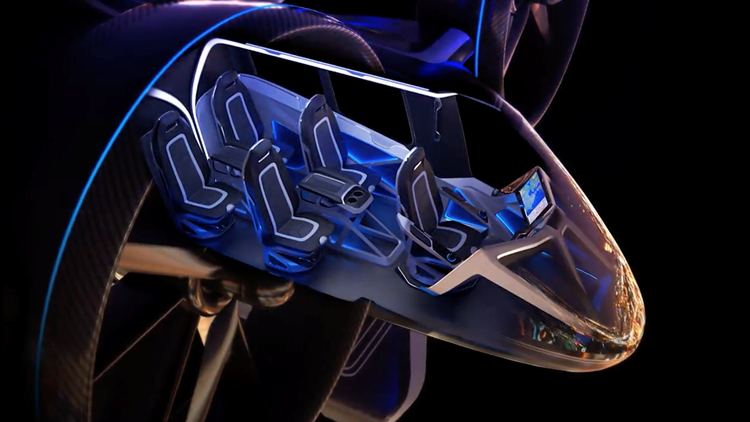 A rendering of the cockpit of a Bell Helicopter air taxi. A rendering of the Bell Helicopter air taxi. It’s easy to imagine a "freeway in the air" as crowded with taxis as those on the ground are now. The architects of an eco-system will have to consider maintaining separation in the air, staying in air lanes designated for taxis, and landing at chosen departure stations. Uber is partnering with five potential air taxi vendors, with Bell being one. Demonstrations could begin in Dallas and Los Angeles. 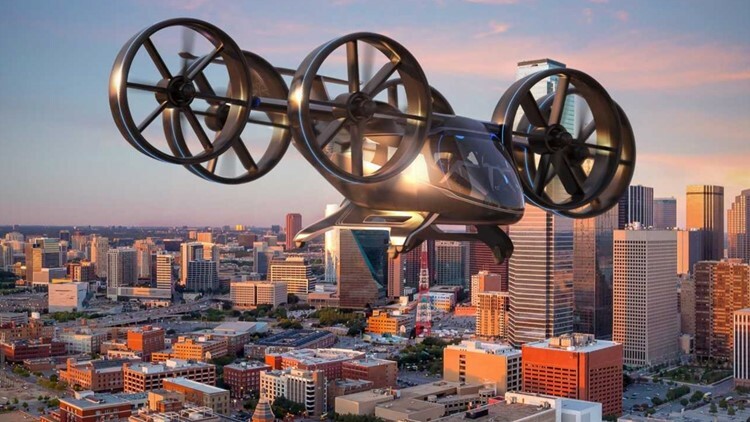 Bell, in addition to designing the aircraft, has been flying already established helicopter lanes in North Texas to estimate the time-savings air taxis might bring. Frisco to DFW Airport is an 8- to 10-minute trip. Frisco to downtown Dallas about the same. All this buzzing will be unnoticeable to most people because a ducted fan is far less noisy than a helicopter. “If you’re walking on the street and don’t look up, you wouldn’t know it’s there,” Thacker said. Bell expects to be selling fleets of the aircraft to taxi services, such as Uber, leasing companies, such as those which lease aircraft to airlines, and even municipalities, by the mid-2020s. If Jeff Bezos can deliver you a pizza with a drone, Bell hopes to deliver you to work in an air taxi. A rendering of Bell's air taxi helicopter, which the company hopes to roll out by the mid 2020s.